The General Assembly of ANHDO is the highest authority and decision-making body of the organization. It is composed of ANHDO members (horticulture experts, NGOs,farmersassociations, cooperatives, commercial famers and agribusiness companies), ANHDO Executive Committee members and the organization’s technical staff members who meet certain conditions of eligibility (in terms of education, professional experience and tenure). Ordinary meetings of the General Assembly are conducted once a year and extraordinary meetings can beorganized when needed. The last General Assembly meeting, presided by Mr. Helaludin Musadiq,was held on the 9thof July2017. Out of the 103 registered General Assembly voting members, 66 were present. The Board of Directors is an elected body representing ANHDO members. It is responsible for articulating the vision, mission and long-term goals of the organization, making sure it lives up to its values, and for the careful and prudent use of ANHDOs resources. It acts as the voice of ANHDO members, and makes sure the organization remains viable for the future. It oversees the implementation of the General Assembly decisions and has responsibilities from one General Assembly meeting to the next. The Board of Directors is composed of 9 ANHDO members. Elected during our last extraordinary General Assembly meeting held on the 7th and the 8th of February 2017, the mandate of our current Board of Directors will run until our next annual General Assembly meeting in 2018. 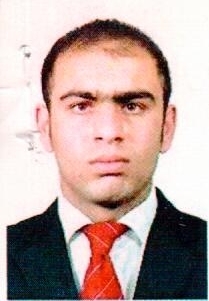 Mr. Mohammad Akbar Bayane is born in 1983; he has a bachelor degree in Agricultural Economics and Extension from the Kabul University of Agriculture, Afghanistan. Later on, he got a Masters degree in Agriculture Production Chain Management from the Val Hal Larenstien, University of Applied Science, Wageningen Netherlands. Mr. Bayane is currently Value Chain Manager for the USAID-funded Regional Agricultural Development Program East (RADP-E) implemented by DAI. Previously, he led the AFD-funded Horticulture Value Chain Development Project (HVP) within ANHDO He has an extensive professional experience working in the field of agriculture and has worked with numerous organizations as: Project Coordinator & Value Chain Specialist for the French Cooperation (FCOMAIL), Project Manager Cotton Value Chain Project at CARD-F, Curriculum Development Specialist / Agribusiness Lecturer at NAEC, Agriculture Marketing Researcher at GIZ Horticulture Value Chain Project, Provincial Manager at Solidarit Afghanistan Belgique, Office Manager at Symbion Power LLC, Agricultural Field Technician / Researcher at USAID PEACE, Research Assistant at International Campaign to Ban Landmines and Administrative Assistant at GNYCRC Construction Company. Mr. Bayane is an ANHDO Member registered under the Membership Category A Horticulture Experts. He has been elected as a Member of ANHDO Board of Directors for a one-yeareffective from the 7th February 2017 by general assembly and he has been elected as Managing Director of ANHDO Board of Directors by new BoD members. 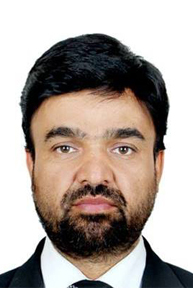 Mr. Hedayatullah Omarkhel was born in 1973; he has bachelor degree in Horticulture form Faculty of Agriculture, Kabul University, besides he has got the Diploma in Civil Engineering Supervisor from IRC Peshawar Engineering Program as well. In the past he was working as member of ANHDO Bo Directors, AAIDO BoD, Board member of AFSA, Board member of HTWG, member of Citrus Promotion Group and member of Apricot Promotion Group. Mr. Omarkhel has professional and experienced person in horticulture and has been worked in different positions with INGOs and companies such as Managing Director and Senior Agriculture Advisor of Samsor Ban Agriculture Company, Apple, Apricot and Cherry production Consultant at ASAP/USAID, Orchard Establishment in the Eastern Region Subcontracted Project Manager Consultant at Owner of Fruit tree production and vegetable production and seed production, Owner of Fruit tree nursery and fresh fruits production and trading, and Owner of Fruit tree nursery and fresh fruits production and trading. Mr. Omarkhel candidate himself as Horticulture Experts under A Category for ANHDO Board of Directors and he has been elected as member of ANHDO Board of Directors for a one-year effective from 7 Feb 2017 by general assembly. Mr. Helaluddin Musadiq was born in 1973, Mr. Musadiq has received a B.Sc. (honors) in Agriculture from Kabul University and Masters of Science (MSc) in Crop Improvement from University of Nottingham, United Kingdom. In addition to this, he has post graduate studies in Management Leadership from Croydon College, Survey, UK and Rural Development from South Thames, London, UK. Mr. Musadiq is an enthusiastic Agriculturist & Manager with great deal of experience working on a variety of projects relating to the development of market-based interventions in Afghanistan. He has significant experience in agricultural value chains development. 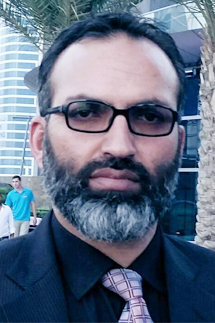 Musadiq has worked with On Farm Water Management Project of MAIL as a National Coordinator, SLMIO as a Managing Director, Helvetas (Swiss Inter-Cooperation) as a Project Manager and Coordinator and he has worked with many more national and international entities in different countries like Afghanistan, Pakistan, UAE and UK. Mr. Musadiq candidate himself as Horticulture Experts under A Category for ANHDO Board of Directors and he has been elected as member of ANHDO Board of Directors for a one-year effective from 7 Feb 2017 by general assembly. 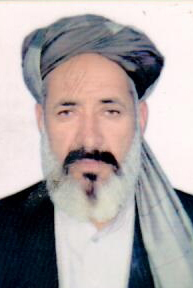 Haji Bashir Ahmad Mujadedi was born in 1965, from being along time he is working in the field of agriculture, in 2013 he has registered an almond cooperative by the name of BKAPC (Bahar-e-Kunduz Almond Producers Cooperative) with the total 100 farmers, he is the head of mentioned BKAPC. Mr. Mujadadi candidate himself on behalf of Kunduz almond growers Cooperative as Non-Profit Organizations under B Category for ANHDO Board of Directors and he has been elected as member of ANHDO Board of Directors for a one-year effective from 7 Feb 2017 by general assembly. 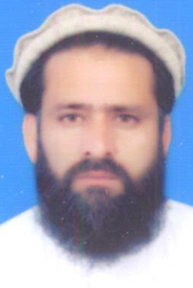 Mr. Muhammad Wali Arbab was born in 1977, since long timehe is working in agriculture field; from 2013-2016 he was working as lead farmer with NHLP in Kama district of Jalalabad , during this period of time he has registered the Nagrahar Citrus Union and he is the head of mentioned Union. Mr. Arbab candidate himself on behalf of citrus gardeners union as Non-Profit Organizations under B Category for ANHDO Board of Directors and he has been elected as member of ANHDO Board of Directors for a one-year effective from 7 Feb 2017 by general assembly. He has bachelor degree in Literacy and anthropology from Kabul University; and he got Masters degree in Journalism from Italy. He is experienced in rural development and was working in different positions such as head of Extension department of MAIL , Deputy Manager of Ariana Afghan Airline Company, Director of Human Rights in Badakhshan, Director of Human Rights in Kunduz and worked with many NGOs like: ACTID , DHS and Agricultural Services Company in Kabul; and now he is working as Finance Manager of Aria Town. Mr. Miri candidate himself as Commercial Farmers under C Category for ANHDO Board of Directors and he has elected as member of ANHDO Board of Directors for a one-year effective from 7 Feb 2017 by general assembly. 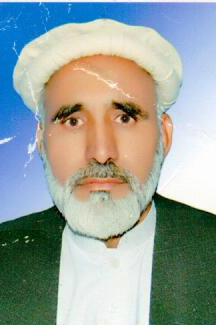 Haji Mohammad Nader Nasiri was born in 1953; he has started his business in Afghan fresh and dried fruits field since 1986 he has been working in agriculture and experienced person in horticulture field. 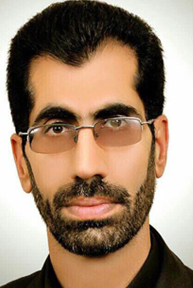 Mr. Nasiri candidate himself on behalf of Grape Growers as Commercial Farmers under C Category for ANHDO Board of Directors and he has been elected as member of ANHDO Board of Directors for a one-year effective from 7 Feb 2017 by general assembly. 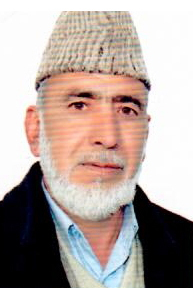 Mr. Ahmad Amini Sadri started his business in Afghan fresh and dried fruits field since 2011 , in the same date/ year he has registered a company by the name of Amini Sadri Ltd, currently he is the head of company . Mr. Amini Sadri candidate himself on behalf of his company for ANHDO Board of Directors under the Agribusiness Companies D Category and he has been elected as member of ANHDO Board of Directors for the period of one-year effective from 7 Feb 2017 by general assembly. 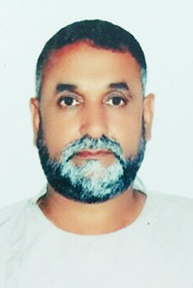 Haji Bashir Popal was born in 1956, he has started his business in Afghan fresh and dried fruits field since 2003he is working in agriculture and is experienced in agribusiness field , Mr.Popal has registered a company by the name of Ahmad Tamim Ltd in 2003 , for the time being he is the head of mentioned company . Mr. Popal candidate himself on behalf of dry fruits exporters as Agribusiness Companies under D Category for ANHDO Board of Directors and he has been elected as member of ANHDO Board of Directors for a one-yeareffective from 7 Feb 2017 by general assembly. ANHDO Executive Committee is composed of the Managing Director, Deputy Managing Director, and other relevant high-level Managers. It is responsible for developing and continuously improving ANHDOs policies, internal rules and regulations, processes and procedures, as well as for implementing ANHDO strategy and activities in accordance with the decisions of the General Assembly and Board of Directors.